CLASSIFYING MONKS and nuns as calm, meditative, religious beings is easy enough to do, but these ideals fail to tell their whole story. They are human beings just as we are, with desires, needs, and worries. Maybe most importantly, they too are drawn to both learn and play. 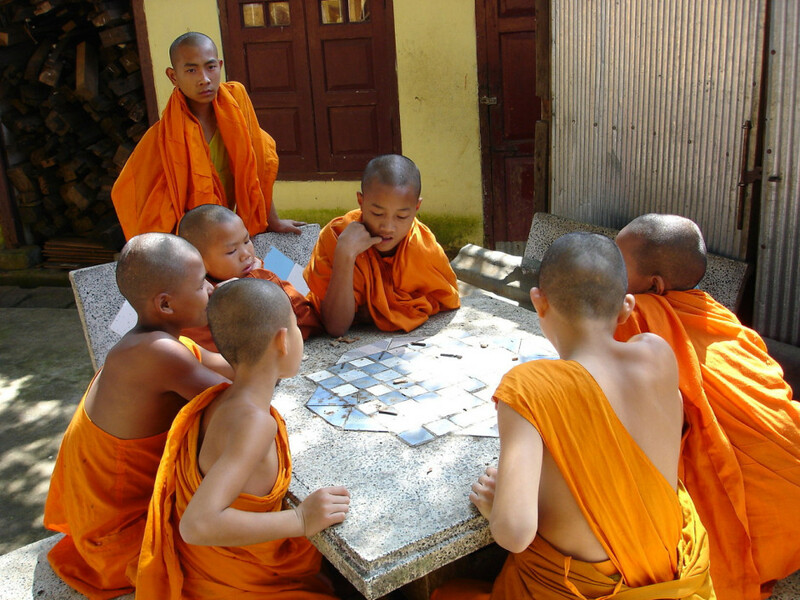 The images below capture daily life in or near several monasteries in Burma, including pilgrims offering dana, monks playing a board game, and nuns learning trigonometry. There’s even a shot of a Buddha statue being created to remind us of the role of capitalism plays in religion. The purpose of our lives may seem opposite to theirs, but the basics of life aren’t all that different. This article was originally published on August 5th, 2010. 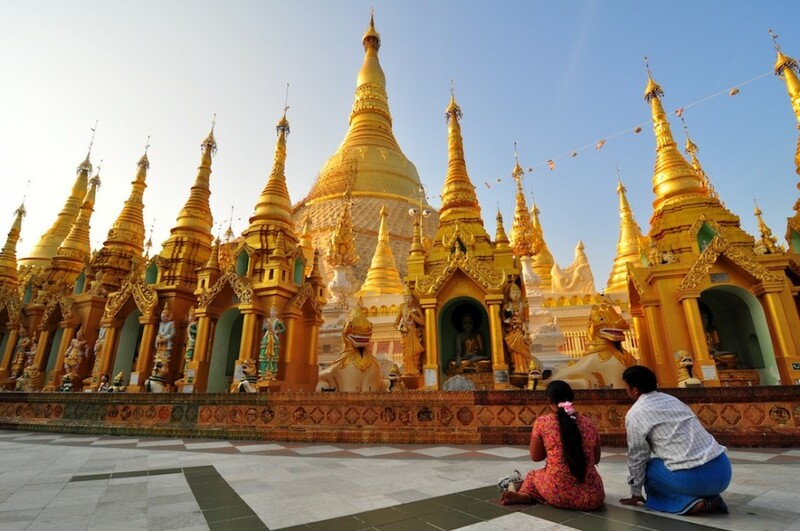 Praying couple at Shwedagon Pagoda in Yangon. Pilgrims to the Shwedagon Pagoda buy candles on their way up the steps to the pagoda, light them, and offer them in honor of the great pagoda. 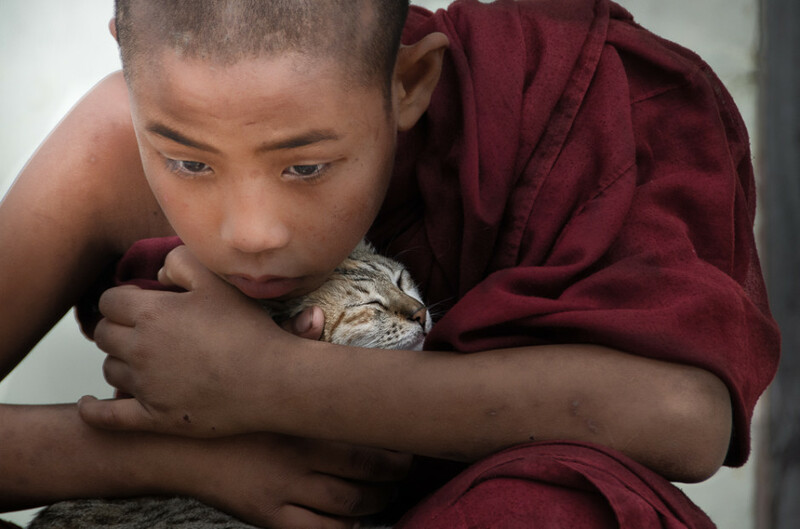 This act is the act of dana, or giving, an important aspect of Buddhist teaching. Monk play a traditional Burmese board game in the yard of the monastery. Image by: Javier D.
A craftsman shapes a marble buddha on Marble Street. Marble street is home to many workshops specializing in the manufacture of hand-carved white marble sculptures. Portrait of a grain vendor at Nam Pam market near Inle Lake. 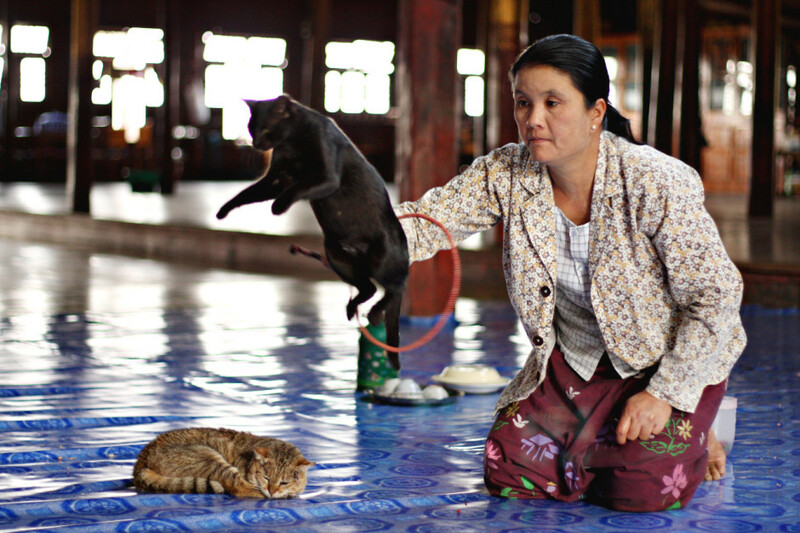 People from all over the Inle Lake region come to this market every five days to trade local wares and produce. Young nuns learning trigonometry at a nunnery near Yangon. 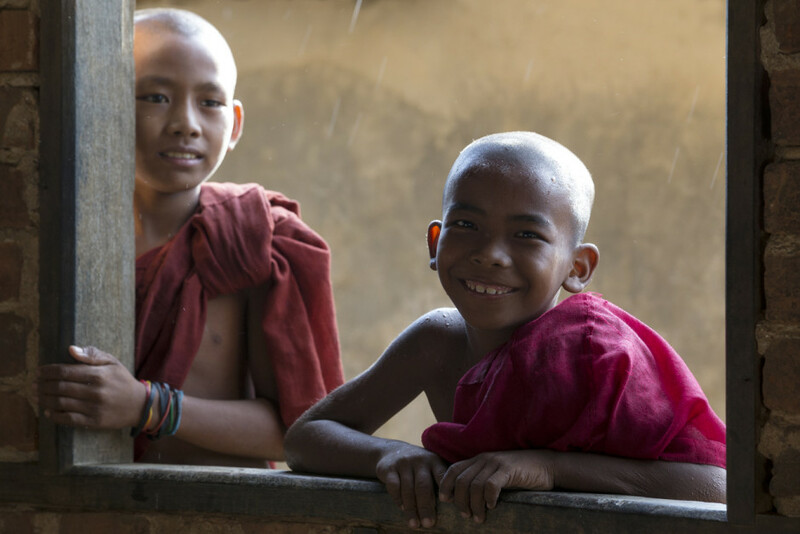 The primary school children of Burma attend the Buddhist nunneries and monasteries to acquire literacy and numeracy skills, as well as knowledge of Buddha's teachings. This ceremony is where a young boy officially enters a monastery. He must trade in his decorative clothing for monk's robes. Young nuns eating lunch as a part of their daily routine. The food they eat is almost completely composed of offerings they collect on a daily alms walk around the city.